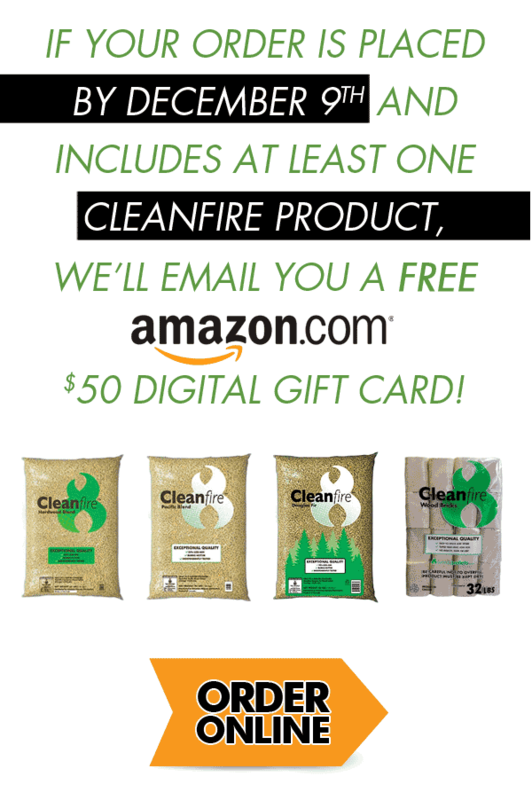 If your Woodpellets.com order is placed by December 9th and includes at least one ton of Cleanfire fuel – you’ll be emailed a $50 digital Amazon.com gift card! 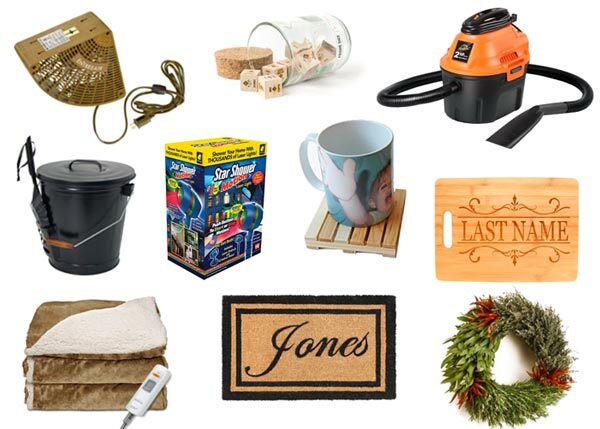 We’ve compiled a list of gift ideas available from Amazon.com for under $50 below. This quiet, unobtrusive fan can be installed in the top corner of your doorway to circulate the warm air coming from your pellet stove, wood stove or fireplace! Find it here. With it’s sturdy metal handle and wood grip, this bucket is perfect for collecting the ash you scoop out during your routine stove cleaning. Handy bonus – the shovel stows right on the side! Find it here. While we always recommend professional stove cleanings and inspections as a best practice, it’s also important to keep up with your own cleanings. This small, rugged wet/dry vac can handle removing the ash from your stove! Find it here. Instantly project thousands of moving laser lights onto your home with the click of a button using this weatherproof holographic light projector – so you can skip the ladder! Find it here. What a great seasonal gift to help your loved one (or yourself) battle those extra cold nights! This heated blanket has three warming settings and an auto shut off function for safety. Find it here. At first glance, it looks like just a pretty wreath. But it’s actually made from organic rosemary, thyme, bay leaves, and fresh red chili peppers! The herbs dry and can be used for cooking throughout the year. Find it here. This personalized bamboo wood cutting board is both unique and useful! One side is smooth and practical, to be used for cutting – while the other side is engraved for displaying. Find it here. This glass container of wooden dice helps you discover over 186,000 possible meal combinations to inspire creativity in the kitchen! Five primary dice (protein, cooking method, grain/carb, herb, bonus ingredient) and 4 seasonal veggie dice are included. Find it here. Another fun yet useful idea – this set of four mini shipping pallet coasters are made from actual shipping pallets! Find them here. Maybe this is the gift for your friend that has everything? This all natural coconut husk fiber door mat can be customized to say any name, making it extra special. Find it here. Shop online at Woodpellets.com or call the experts at 1-800-PELLETS! Offer ends 12/9/16. Order must include at least one ton of Cleanfire Hardwood, Cleanfire Pacific, Cleanfire Douglas Fir and/or Cleanfire Wood Bricks to qualify for the Amazon.com digital gift card. Gift cards will be sent to the email address on the customer account, after delivery has been completed. Limit of one per household. Not valid on pickup orders. Order minimums vary by region. Offers cannot be combined.